Mama mia! 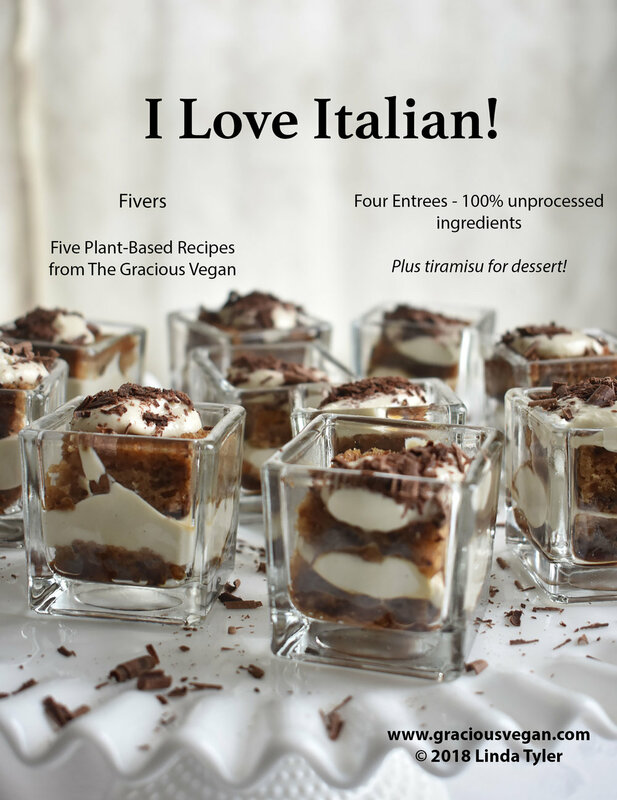 The magic of whole-food vegan substitutes lets us enjoy our favorite Italian dishes without the meat or dairy. Lasagna? Eggplant Parmigiana? Tiramisu? All possible without sacrifice in the plant-based world. Here are the recipes in this Fiver. As always, full nutritional information is provided, and photos are all on one page so you don't have to print them with the recipe.